NEW YORK – Austrian composer Johannes Maria Staud was given a prominent residency with the Cleveland Orchestra back in 2008-’10. Apart from this, he has not gained nearly as much notoriety in the United States as he deserves. His is one of the most fluent and and multi-faceted of the European “Second Modern” school of composition. 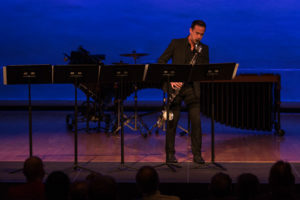 A recent Composer Portrait concert, given at Miller Theatre by Ensemble Signal, demonstrated at least part of Staud’s considerable range as a composer. As usual, Signal, conducted by Brad Lubman, were most persuasive advocates, consummately well-prepared for every challenging turn that confronted them. Syndenham Music – Composed for the “Debussy trio” of flute, harp, and viola, this piece was both inspired by the Debussy sonata for that combination and by the artwork of Pisarro. The latter catalyst was acquired during Staud’s time living in England; he stayed in Syndenham, in the London suburbs, where Pisarro painted, and wrote Syndenham Music for the Aldeburgh festival. 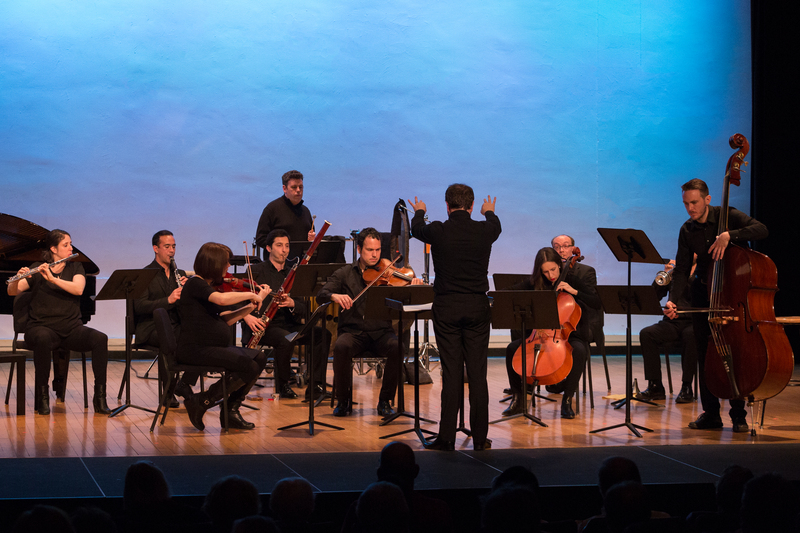 Bent notes, percussive attacks, and microtonal inflections, especially prevalent in the harp, are balanced by soaring flute lines and harp glissandos straight out of the Impressionists’ playbook. 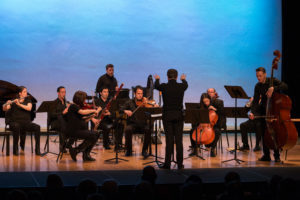 Black Moon – With close to a dozen music stands spread across the stage, one knew that this would be an involved and extensive piece. Bass clarinetist Adrián Sandí handled the myriad extended techniques – multiphonic passages, glissandos, microtones, percussive sounds, and altissimo wails – with poise and suavity. His performance embodied a seeming effortlessness that belied the endurance test supplied by the score. 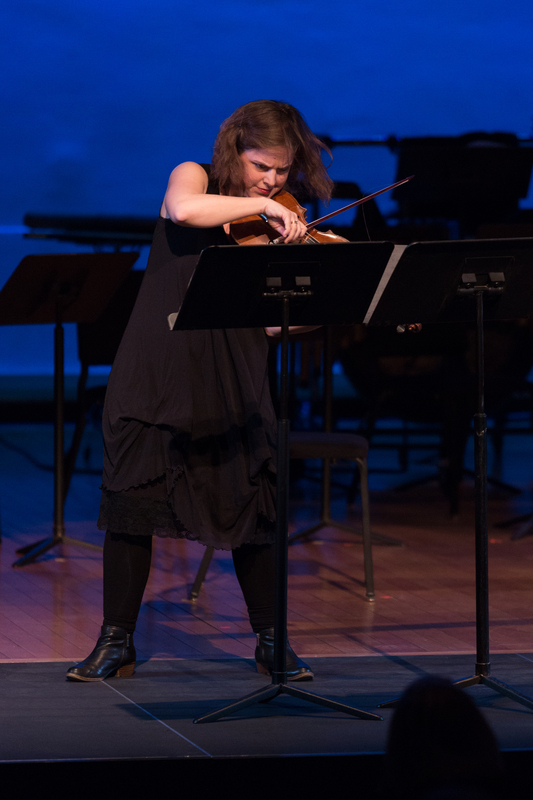 Towards a Brighter Hue – Written for solo violin, this piece had its own long line of music stands (Ensemble Signal might consider iPads for their soloists). Olivia de Prato played Towards a Brighter Hue with impressive intensity and relentless energy. As it was the most aggressive of the pieces on offer, this was just what the composer ordered. However, after the hyperkinetic slashes of the coda, a curt altissimo gesture also afforded this piece a little wink at its conclusion; it seemed designed to afford the listener a sigh of relief (and, in this audience, a few chuckles) to alleviate the tension. Wheat, Not Oats Dear, I’m Afraid – The famous line from Elizabeth Bishop’s poem provides Staud with the title for a septet with a bit of sly levity. 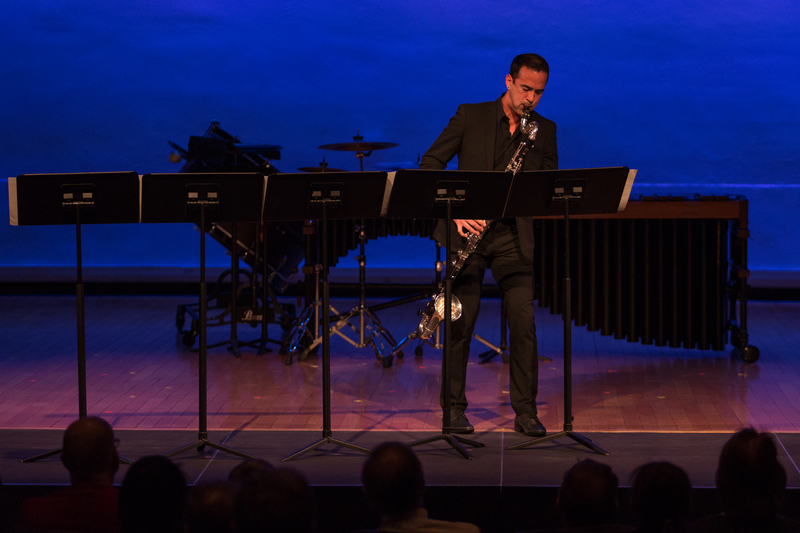 Thus, typical gestures of post-Lachenmann modernity are paired with exaggerated exhalations from the entire ensemble, as well as more than a few microtonal chords and bent notes from the winds that provide a kind of analog to maudlin bluesiness. Par Ici! – Written during a residency at IRCAM, the culminating work on the program is based on Le Voyage, a Baudelaire poem. Twelve notes on the piano are retuned a quarter tone high (so that’s why none of the previous works included it!) to create a sound spectra that is then replicated by most of the rest of the ensemble. A tension between pitched percussion, which doesn’t use the quarter tones from the spectra, and piano, creates a suppleness of harmony that blurs the edges of the proceedings. Rather than levity, here we are treated to an earnest approach, with a muscular catalog of gestures: one that Staud takes in many of his larger pieces. In Par Ici!, his focus on technical and instrumental combinations creates attractive gestural and textural palettes that are deftly deployed.